As soon as doctor declares that you have diabetes, the first question that most of us have is, does that mean I cannot have sugar anymore? Or will sugar really affect my diet? This, my friends, is only a part of the picture. However, there are other things that control such as the way you live, your overall diet and other factors. Here we specifically concentrate on sugars role in diabetes. So what exactly is diabetes? Diabetes can be referred to as a condition where your body can no more breakdown sugars. However, it is to note that diabetes can never be referred to as disease. This breakdown of sugar take place in pancreas, which produces insulin, stops its function. Insulin helps in removal of sugar from your body. If this insulin is reduced in blood then sugar content increases. This can lead to complications like increased heart risk as well as nerve nd kidney damage. Hence it is very important to keep it in check. What are the types and how does it occur? There are 2 main types. Namely type 1 and type 2. Where type 1 occurs when your immune system attacks pancreas and destroys its ability. This occurs rarely and hardly 10% of diabetes is affected by this. Whereas, type 2 diabetes occurs when pancreas stop producing enough insulin, when your body cells no longer respond to insulin. This accounts for more than 90% of diabetes cases and the most common reasons are lifestyle and diet. 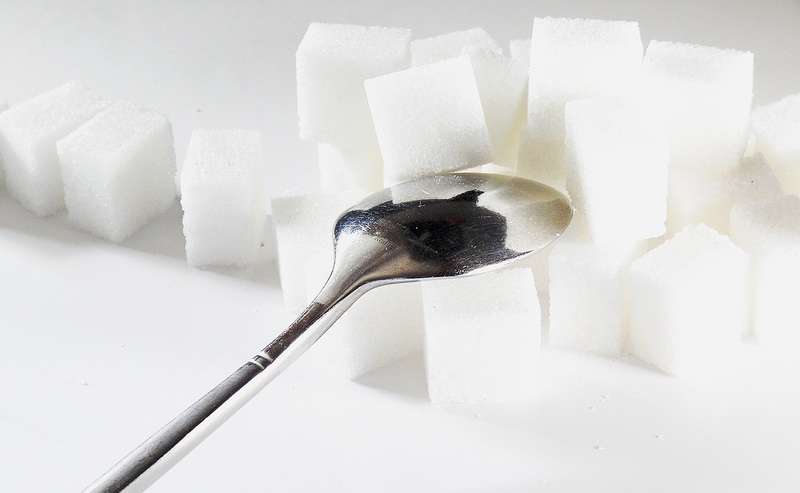 When we talk about sugars, it’s mostly about table sugars which is mostly made from sugar cane. And this consists of sucrose. While sucrose is made of fructose and glucose. These 2 molecules are separated in small intestine and this increases the sugar content and hence insulin is initiated in the body. This insulin then breaks down glucose for energy. While only a small amount of fructose is broken down, majority of it is converted to glucose in your liver. High intakes also increases the fat storage in your body leading to more complications. Fructose breakdown also increases uric acid levels in your body hence accumulating them in your body producing gout. There’s also a fact that more consumption of sugars can also be stored as fat in your body. It is also found through studies that type 2 diabetes is more prone in people those who have a high amount of sugar consumption. However, it cannot be truly said that sugar is what causes it. Increased weight and body fat is found to have a significant contribution to diabetes as well. also a lot of sugar can lead to overeating. What are other risks that are faced? The same effect is not found in natural sugars. These exist in fruits and vegetables these are digested slowly and are less likely to cause increase in sugar levels. Fruits are a great way to consume sweet stuff when you crave sweetie. These not only increase sugar much but also satisfies your taste buds. The same is not true for fruit juice. Sorry pals, but fruit juices actually are not quite healthy. It could be even more risky. Natural sweeteners should also be reduced in your daily consumption. Whereas artificial sweeteners do not increase the risk much as they are chemically produced and do not really get absorbed in the body. They as consumed are given out without being absorbed. Various other risky factors are increased body weight, low amount of exercise, smoking, insomnia and lastly genetically acquired. A diet should be necessarily followed to control diabetes. This includes whole food diet such as nuts, fruits, vegetables and whole grains. Coffee lovers have more of a reason to take in even more coffee. Alcohol should be taken in low amounts as well. Can it really be avoided? Diabetes can be totally avoided if you keep an account of the intake of sugar and make your self active. However if you still get affected due to any other unavoidable reasons, there are still remedies to control it and live an healthy life. Stick to them and get rid of diabetes.